Sarah’s Cucina Bella is a food blog focusing on quick and easy recipes from scratch for busy people. 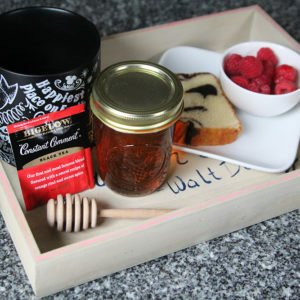 It also features food travel and books to enjoy with your favorite treats. 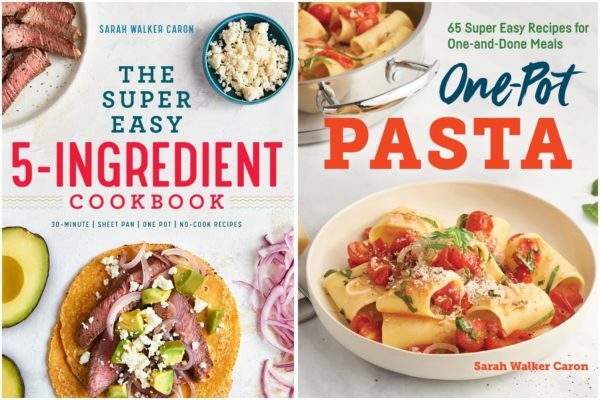 Written by award-winning food writer, columnist and cookbook author Sarah Walker Caron, SCB has been delighting readers with scrumptious recipes and more since 2005. There’s something bewitching about using fresh whole foods to craft a luscious dish to feed others. Food is evocative and nourishing. It joins people in shared experience. As they say, food is love. My earliest memories are tightly interwoven with the scents and flavors of my childhood kitchen. The sweet muskiness of warm apples boiling on the stove for applesauce takes me back to when my aunt and I would peel, core, slice and cook apples to go with homemade potato pancakes. The sultry robust flavor of sweet Italian sausage stirs memories of swiping bits of sausage from my grandmother as she whipped up sausage and peppers for the whole family. Steamy lobsters remind me of our massive family reunions on Cape Cod, filled with laughter, volleyball and the happy din of close bonds. These days, my kids are too old to dragging chairs to the counter but they still like to help imagine, prepare and cook delicious family meals. My oldest is Will. He’s 13-years-old and loves good food. His favorites? Sushi, lobster, pasta, chicken, broccoli and tomatoes. My daughter, Paige, is 10. Like her older brother, she appreciates good food. She adores berries, sushi, salmon, veggies of all kinds and chicken. 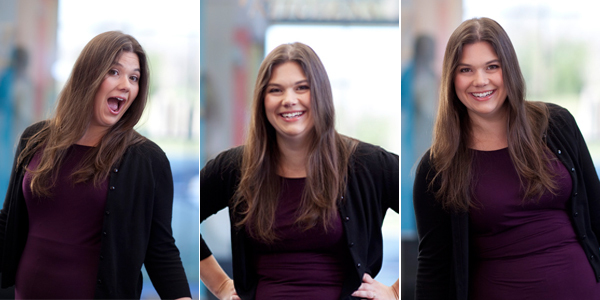 My name is Sarah Walker Caron and I am a freelance writer, editor and recipe developer. By day, I’m the editor of Bangor Metro magazine, the founding editor of HelloHomestead.com and the senior editor, features, for Maine’s largest newspaper, The Bangor Daily News. I write a monthly food column for Bangor Metro Magazine called In Season Now. The One-Pot Pasta Cookbook offers the easiest all-in-one recipes for perfect pasta meals. No straining, no mess, and no stress—cooking pasta doesn’t get simpler than one-pot recipes. 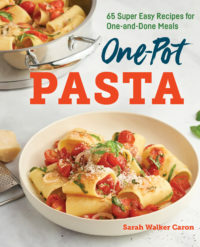 The One-Pot Pasta Cookbook offers the easiest, quick-fix recipes for delicious pasta dishes to make homemade dinners happen with minimal time and effort. From French Onion Linguine to Steak Rigatoni with Arugula, these fresh pasta dishes are all cooked in one pot or pan from start to finish. Using satisfying, staple ingredients that you can find at any grocery store—if you don’t already have them stocked in the kitchen—these simple and delicious recipes are a one-stop solution to everyday meals. The Super Easy 5 Ingredient Cookbook makes wholesome, everyday meals easier with minimal time, effort, and money. A handful of the right ingredients can make eating fresh easy every day. 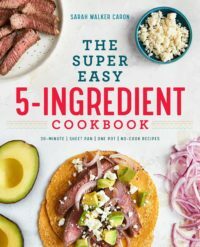 The Super Easy 5 Ingredient Cookbook offers the easiest whole foods recipes to whip up 5 ingredient meals to save you time, effort, and money. Ancient grains like quinoa, barley, spelt, and wheat berries are called “super foods” for good reason — they’re packed with nutrition, and they’re so versatile that they taste great in a variety of recipes. But what happens when you’re stuck in a grain rut, always preparing grains the same way? 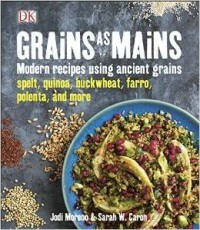 Get inspired with Grains as Mains, the modern cook’s answer to how to introduce healthy ingredients and delicious grains to the family table. Step-by-step illustrations, beautiful photography, and helpful tips show exactly how to make each dish, bringing out the gorgeous texture and outstanding, unique taste of each grain. You’ll find quinoa recipes, faro recipes, and gluten-free recipes. You’ll learn to make polenta and how to cook millet. We’ve gathered the very best easy, healthy recipes that will show you how to incorporate super-food grains into your cooking, and meals have tips for either adding protein or making a grain dish vegetarian. Plus, recipes suggest grain substitutions to make the entire book friendly no matter if you’re cooking for food allergies, celiac disease, gluten-intolerance, or vegetarians. Even adventurous cooks will find flavorful, inspiring recipes they haven’t seen before in Grains as Mains! Sarah’s Cucina Bella was named one of the Top 25 Foodie Blogs by FriendsEat in 2009 and was also named one of the “Sites We Love” by Saveur Magazine. One of my recipes and tips for getting kids to eat well was featured in the 2010 cookbook No Whine with Dinner by Liz Weiss and Janice Newell Bissex. I love judging food competitions and have done a few. In 2011, I was a judge for the National Mango Board’s Mango Hometown Tour in Hartford, Connecticut. I’ve also judged the Maine Chef Challenge in 2015, the NewsFEED cooking competition in 2016 in Bangor, Maine, and the Bangor Firefighters Chili/Chowder Cookoff in 2017 and 2018. 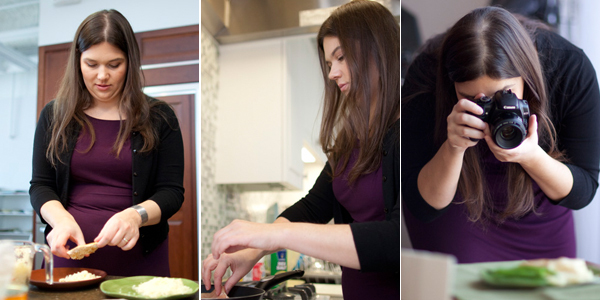 Recession-Proof Cooking: This savvy mom hooks us all up! Glamour.com. You can see more of my writing clips on SarahCaron.com. 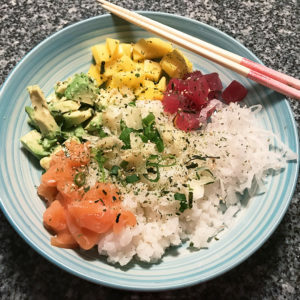 Follow Sarah Walker Caron’s board Recipes from Sarah’s Cucina Bella on Pinterest. How long have you been writing Sarah’s Cucina Bella? I started Sarah’s Cucina Bella in 2005, after attending a writing conference at Barnard College. A food writer called blogging the wave of the future — so I decided to give it a go. I never expected to love it as much as I do. Are your kids really not picky? They really aren’t, and I know that makes me super lucky. My kids love good food and will try just about anything once. They’ve been raised with the expectation that they would eat everything, and it’s worked. No. I’m a home cook with a passion for good, wholesome food. I learned to cook through trial and error. While I’ve taken a cooking class or two, I largely learned to cook well as an adult. But I have been cooking on some level — whether it was helping my family in the kitchen as a child, baking as a teen or experimenting in college — my whole life. Who do you develop recipes for? In addition to the recipes that I develop for Sarah’s Cucina Bella, my recipes appear regularly in my newspaper food column, Maine Course, in the Bangor Daily News. 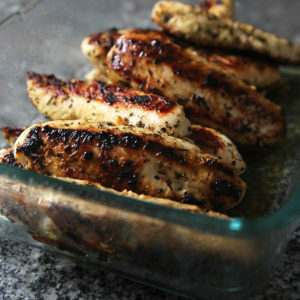 In the past, I developed recipes for BettyCrocker.com, Pillsbury.com, allParenting.com and other sites. They’ve also appeared in BELLA NYC Magazine and First for Women Magazine. 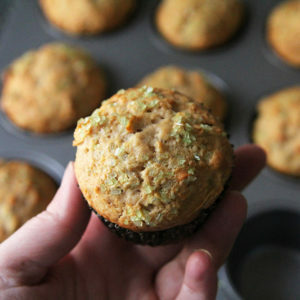 You can read more about my writing and recipe development experience on my portfolio website, SarahCaron.com. Sure do! I usually shoot with a Canon Rebel T6 and a Tamron 28-75mm F/2.8 lens. My photos are processed in Photoshop Elements. I’d love to hire you for a project. Are you available? Really? I’m flattered! I am passionate about food writing and recipe development. Check out my Work with Me page for details, then email me at [email protected] — Let’s chat! To read this site’s copyright information, click here. To read this site’s review policies, click here.